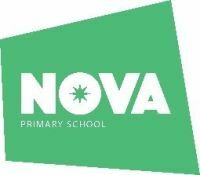 Shine's popular Dodgeball Club is an ideal choice for active boys and girls from Nova Primary. Dodgeball is an inclusive and fun based team sport that is growing in popularity and can be enjoyed equally by children of all ages and abilities. Come and join us for this friendly and sociable activity. The Shine coaches will collect children and get them changed in the hall. Unless you want to, there is no need to meet your child before the club starts.